As you'll notice from the symmetric emblem emblazoned front and center on Murcielago cigar bands, the name is Spanish for "bat." Espinosa Premium Cigars—creators of Murcielago—have taken advantage of the concept, branding their cigars as the "Batman of the cigar world." 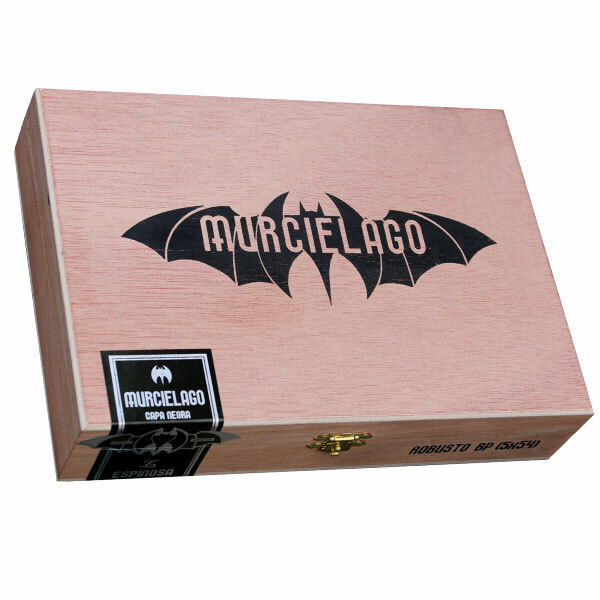 Murcielago first debuted in 2009, becoming an early adapter of the heavy-hitting Nicaraguan style with a dark Mexican San Andrés wrapper. The cigars were originally crafted at the famed My Father Cigars factory, but were revamped in 2015 and moved to Espinosa's burgeoning La Zona factory in Estelí. New for 2017, Murcielago has entered its third iteration, donning a vibrant new look and extra-aged tobaccos. Taking advantage of a new partnership between Espinosa and AJ Fernandez, Murcielago cigars are now rolled at AJ's new San Lotano factory in Ocotál, Nicaragua. And while the fan-favorite blend remains the same (Nicaraguan binder/filler and Mexican San Andrés maduro wrapper), Murcielago now incorporates tobaccos of greater age; allowing for deeper, more rich flavor characteristics that critics are already celebrating as the best Murcielago smoking experience to date! Expect a medium/full body and rich, decadent flavors of chocolate, espresso, sweet raisons, black pepper, maple syrup, and oak.